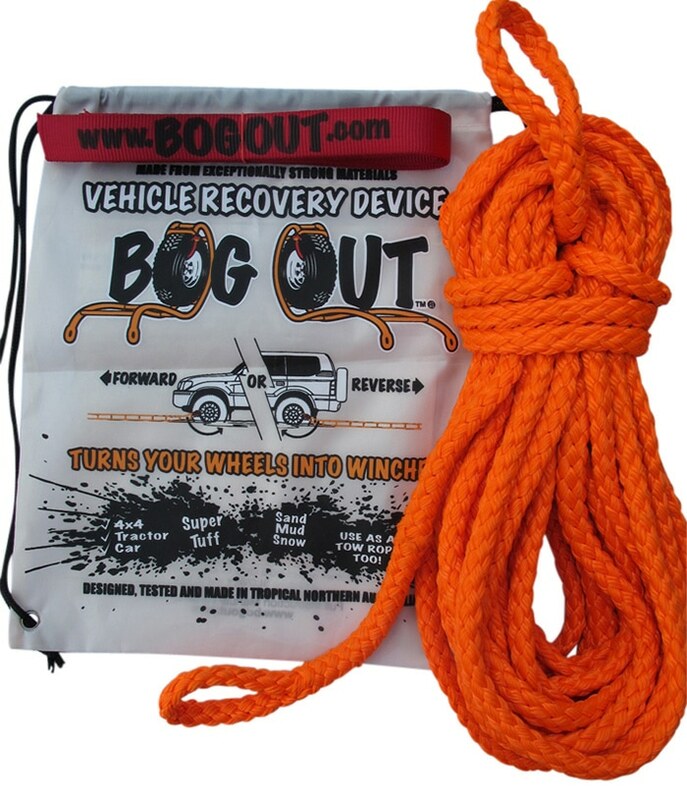 Handy 15 metres of 2 tonne braided rope specifically designed for BOG OUT and manufactured to our low stretch, high strength formulae. It comes with spliced eyes and in a tuff ‘Back-Sack’ bag along with two red connector ties and instructions. Coming soon ‘Sticker Club’ perpetual promotion. Trees are not always in just the right position to tie your BOG OUT to, so more rope may be needed. We designed this 8 plait braided rope to have maximum strength in a minimum package, realising space is a premium in your vehicle. 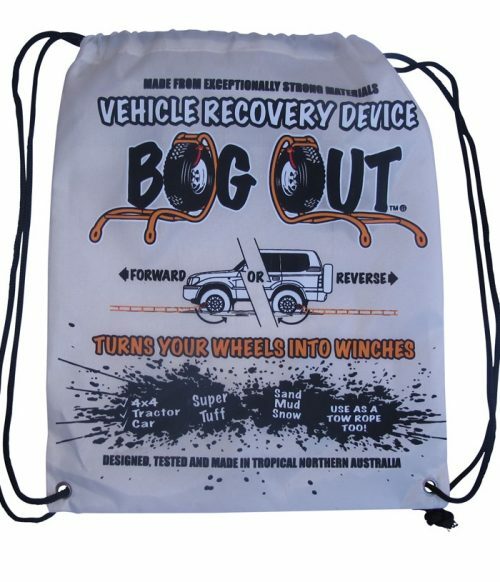 Beware of nylon rope and web products that have up to 30% stretch, and that is not desirable in winching situations. Other products can also lose up to 30% of their strength when wet. BOG OUT has around 5% stretch and loses nothing to wetness. All our products are impervious to water.